The Demarlos Collection by Ashley Signature Design Furniture is nothing short of breathtaking. 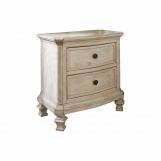 These one of a kind pieces feature a gently distressed parchment white finish, perfect for light bedding colors or bright bedroom décor. 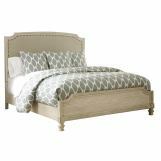 The gorgeous upholstered panel bed incorporates an oversized headboard and soft upholstery and cushioning with bands and nail accents to create an incredible statement piece. The panel bed is offset by a two drawer nightstand, a night table, a five drawer chest, a standing mirror or a bedroom mirror, all of which are perfectly designed to complement the other pieces. 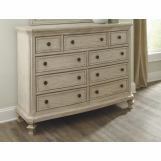 Select individual furnishings, or purchase the entire set for the ultimate bedroom indulgence. With the Demarlos Collection by Ashley Signature Design, you can turn your bedroom into your dream retreat today. 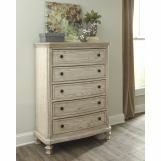 Trust Bedroom Furniture Discounts for the very best in bedroom décor. 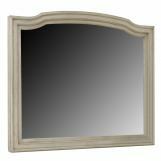 We bring you notable designers and classic furnishings at incredible prices. 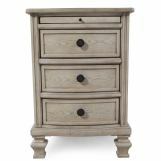 Whether you need a single nightstand or multiple rooms’ worth of furniture, we are your one stop shop for the very best prices and selections online.